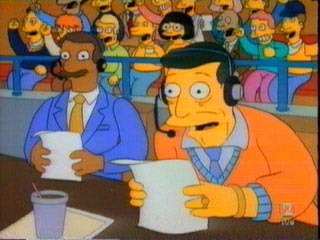 Beloved Lakers announcer Chick Hearn was on The Simpsons with Magic Johnson. Now, he’s in the refrigerator, cooling with the Jell-O. I guess you could say his demise was a slam dunk.